Overhauled and much more user friendly. 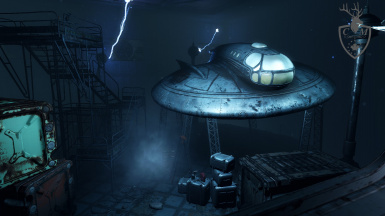 Includes 11 constructable Enclave themed settlement objects, five classic skill books to find, two new magazines, large heavily scripted player home, memory lounger with four unique simulation rooms to battle through, and four unique reward vaults which unlock at the completion of each sim room. Under no circumstances do I give anyone permission to re-upload this mod or any of its files anywhere without my explicit permission. If you see this mod anywhere other than here or my Bethesda.Net account (Alex4949) it has been stolen, please report it. See Main Mod Page for list of credits. Too many changes to actually list so if your familiar with the previous versions of the mod then welcome back and I hope you enjoy the Redux version. If your new to the page then Welcome and happy you are downloading my mod, please endorse and leave me a comment if you enjoy it! Mod intergration with America Rising is still planned and will be in the works soon enough. For now go blast some Chinese soldiers and Westcoast Brotherhood baddies in the new training simulations (memory lounger). Be sure to complete each simulation to unlock each of the four new vaults which house unique rewards for you to use in your adventures around the Commonwealth. -The Presidential Wing has made a return and better than ever. -Now Seven new Skillbooks/magazines for you to find throughout the Commonwealth. -Created a custom shelf to display your new books. -Added two custom skill books that are hidden throughout the mod, Lying Congressional Style and Big Book of Science. -Completely Re-did the Anchorage Simulation bunker to include an extreme amount of detail. 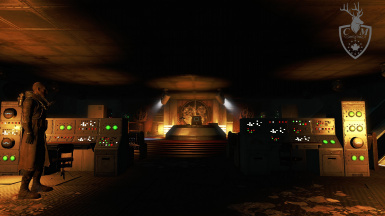 -Added a new simulation Room, the Presidential Level of Control Station ENCLAVE from Fallout 2. -Improved Several Textures of many custom items throughout the mod. 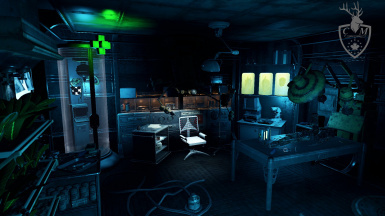 -Altered Lab area to make Surgery Chair elaborate and added more decorations. -Added crates to the side of the helipad in case a player falls down and gets stuck. -Plenty of Small tweaks and things I cant remember. -Fixed two loudspeakers that wouldn't disable when the player chose to have Remnant Radio not playing. 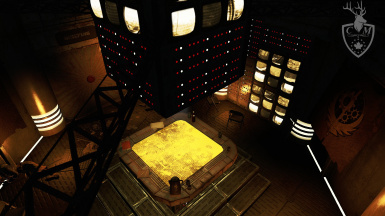 -Made the Enclave beds buildable for your settlements! -Little tweaks here and there to improve things. -Added uniquely themed Medical Storage to the Lab. Made the Food Storage in the fridge located in the Mess Hall easier to activate. 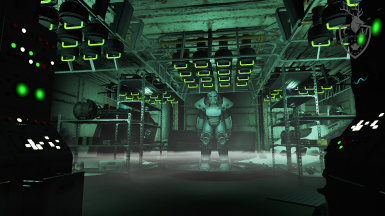 -Deleted Weapons and Ammo storage in Decontamination area and added new custom Weapons and Ammo Storage to PA Depot Area. -Added Power Cycle 1000 to Gym Area that provides an Endurance Buff. -Added terminal to Bunker Exterior with option to lock the large bunker blast door for roleplaying purposes. -Moved the weapons workbench to the Weapons Depot. -Altered the appropriate areas of the Ruined Bunker Cell to match the new layout. -Altered the Craftable Outpost Sign texture to improve the quality. -Slight alteration to the Enclave Sigma Logo texture to improve quality. 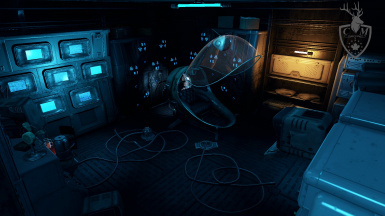 -Added animated Orange lights when the decontamination procedure is cycling. -Added Elianora's Custom Bobblehead Shelf to replace the clunky vanilla bobblehead stand. 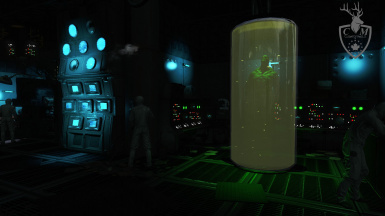 -AutoDoc inspired from previous Fallout games now located in Lab, Heal limbs and Cure Addictions. -Added warning message when restoring the bunker to ensure users don't lose there PA and other objects. -Decon chamber now has emergency lights activated when in use. 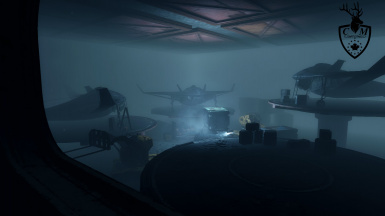 -Added an unmarked quest to restore the bunker after obtaining the key and fleshed out the story more. -Fixed issue with PA turning invisible in certain dungeon areas and in Bunker Sub-Level. -Fixed issue with Remnant Radio from randomly stopping and not working. -Other small visual bugs in various areas. -Re-named "Enclave Radio" to "Remnant Radio" so users who also have "America Rising" by Otellino installed don't have two radio stations named the same thing. (both mods are compatible and conflict free and use different frequencies). -Fixed small bug preventing you from placing the buildable radio tuned to Enclave Radio on tables and objects. -Updated the buildable Enclave flag textures to Hi-Res version. 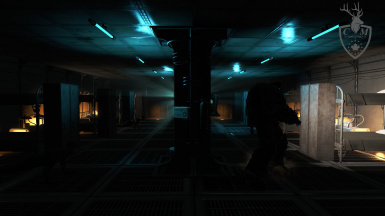 -Re-worked interior lighting of most areas (best with ENB preset linked in description). -General bug fixes and tweaks. -Fixed rare issue when player would get stuck when using the Checkpoint Terminal outside of Atlas Summit. -Added a light in the Mess Hall Fridge so more people realize it is actually a unique food storage container. 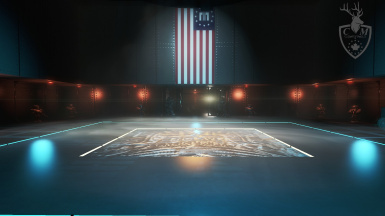 Added even more aesthetics and features to the "Patriotic Persistence" quest bunker! -Now those decontamination arches actually work, look for the button! -Changed the stairway area of Atlas Summit to resemble the rest of the bunker. -Small alteration on Presidential Door texture. -Added an optional file that will play "Follower's Credo" in the player home bunker. -Small but important tweaks throughout various parts of the mod. -Added custom Model to the Loading Screen. -Added PQuinn's (DogtoothCG) amazing Enclave Officer's Uniform. -Added Simulation Room Feature next to the Vending Terminal in the Bunker Sub-Level. -Some minor aesthetic tweaks in various areas. -New Dungeon added with more lore and backstory. 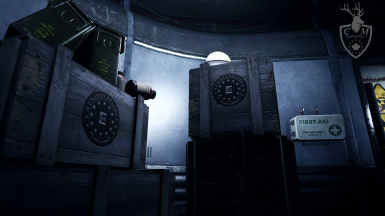 -Enclave Radio as well as the Eyebots now have to be activated at another secure Enclave Facility. 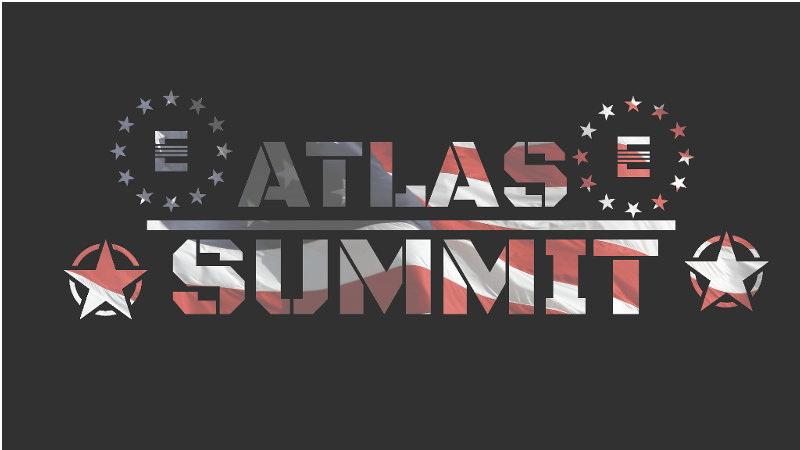 -Atlas Summit will become marked on your Pipboy once "Patriotic Persistence" is completed. -Vertibird hanger now accessible with Vertibird Fast Travel. -Map marker added if Vertibird is not in the hanger. 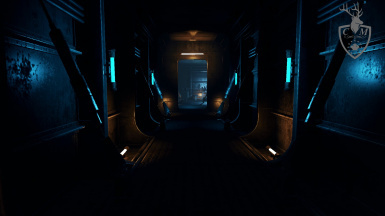 -Re-worked interior lighting to both increase performance significantly and improve atmosphere. 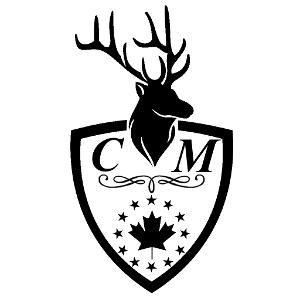 -Improved Enclave patch on the Officer's Overcoat. 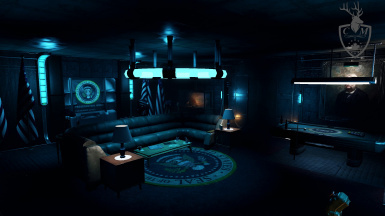 -Player's name displays on Player bed and Terminal in Presidential Wing. -Nuka Cola, Nuka Cola Quantum, Nuka Cherry, Nuka Cola Dark, Nuka Cola Grape, Nuka Cola Orange, Nuka Cola Quartz, Nuka Cola Victory, Nuka Cola Wild. -Beer, Gwinnett Ale, Gwinnett Brew. Gwinnett Lager, Gwinnett Pale, Gwinnett Pil, Gwinnett Stout. -Mini Fridge in player Office (Presidential Office). 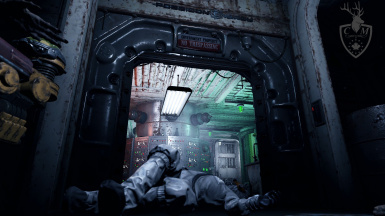 -Interior bunker doors now close after 10 seconds automatically. -Propaganda posters now located in Malden, Milton/Gunners Plaza, Jalbert Disposal, Lexington, and Sanctuary Red Rocket. 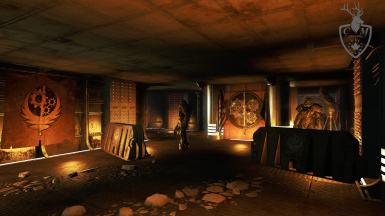 -Various visual enhancements to better resemble Raven Rock from Fallout 3. 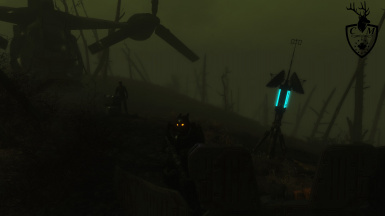 -Added Enclave Propaganda Posters to some areas of the Commonwealth. -Added working Fireplace, Shower, Water Purifier, and Range Controls. 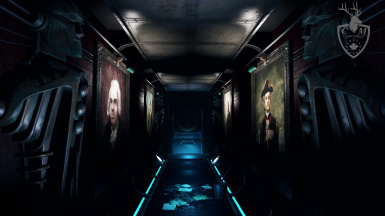 -Lore and features all throughout the main and sub-floor levels of the bunker so look around! -Added another Enclave Eyebot to the Sanctuary Red Rocket Station. 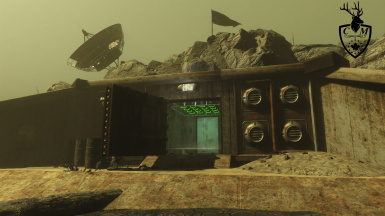 Added two Enclave Eyebots to the Bunker and Outpost Entrance for nostalgia. Added purified water source to kitchen, plus Barber and Surgery chairs to home. Fixed issue with scripts, now the "Tell Me More" buttons should work perfectly. Quest now to obtain the key to your new player home. Re-worked most of the interior to make the layout make more sense. Added more to some terminals to flesh out the story. 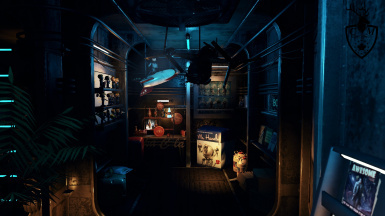 -Linked all workbenches together "Cloud Storage"
This mod adds two little quests to obtain your home and start up the custom radio station "Remnant Radio". Also includes two Misc. 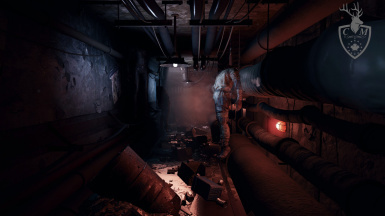 quest to restore the bunker to full working order as it is infested and in ruins when you first discover it. Once restored, there is plenty of interactive features in each of the rooms so look carefully as you may miss some. Included in this mod is DogtoothCG's "Enclave Officer Uniform", along with plenty of custom textures and objects. The mod also includes XricsX's "X-01 Enclave Paint Job". 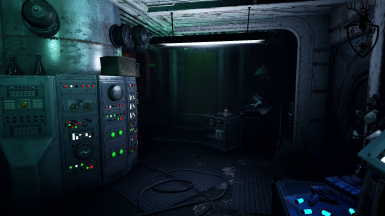 Bunker also includes all workstations that share storage and a vending terminal to buy supplies, as well as four "simulation rooms" for you to train. Please refer to the features section for a more detailed look at what this bunker has to offer. 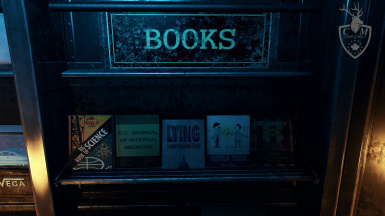 While exploring the Commonwealth, be on the lookout for five classic Fallout 3 skill books, "Lying Congressional Style", "Big Book of Science", "Nikola Tesla and You", US Army: 30 Flamethrower Recipes" and "D.C. Journal of Internal Medicine". Also includes two new magazine skill books also from Fallout 3, "Chinese Special Ops Training Manual", and "Guns and Bullets". Refer to the images to refresh your memory on what they look like! In the "trophy room" of the presidential wing there is also a custom book shelf to store the five new skill books. The two new magazines can be stored in any magazine rack! Also be sure to complete all four Simulation Training missions in order to unlock the four unique reward Vaults which are now included in the Redux version. Also, once the bunker is restored, you will have the ability to construct 11 unique Enclave themed settlement objects. 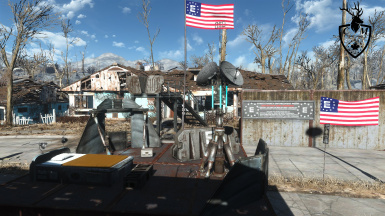 These 11 items are: three styles of Enclave barricades, an Enclave guard tower, two Enclave flags (one wall, one waving on a flag pole), an Enclave Radar Dish, Radio tuned to "Remnants Radio", Enclave bed, Enclave Crate, and an Enclave Checkpoint Sign. Refer to the images to see the items. 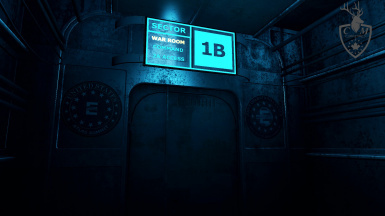 To start your Enclave adventure, look around the billboard at Vault 111. -Surgery Chair (Change characters appearance). -Plenty of pistol and rifle racks as well as two heavy weapons racks and a PA workbench. - Safe to store valuables, and Clothing Storage. -Four Armor Mannequins which can be switched between female and male genders. -Three custom Power Armors: Anchorage T-51, Westcoast Brotherhood T-51, and the General's X-01 PA.
-Two new skill magazines: Chinese Special Ops Training Manual and Guns and Bullets from Fallout 3. Cleaned with FO4Edit and bug free. See Changelog when mod is updated. The Redux Version changes pretty much everything, using a new game is the only way to truly ensure the mod will work as intended. (2): Manually copy the esp and ba2 files into your "Data" folder. -If you are using Power Armor Airdrop then you may experience issues. No other conflicts identified. -Mod-integration with America Rising (will have ability to garrison bunker with Enclave troops). 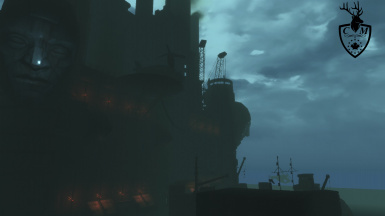 -This mod is now on Fallout 4 Nexus and Bethesda.Net. Under no circumstances do I give anyone permission to re-upload this mod or any of its files anywhere without my explicit permission. If you see this mod anywhere other than here or my Bethesda.Net account (Alex4949) it has been stolen, please report it. -The custom music is from Fallout 2, which the soundtrack is now officially classified as Public Domain , hence free of any copyright issues as well as abiding by Nexus policy. -Spoilers! but the Gary sound files used in this mod are actually cut Fallout 4 content and is included in the main game files. -Seddo4494, for his Youtube scripting Tutorials (and mods). -RedRocketTV, for his helpful and amazing YouTube tutorials (and mods), as well as assisting me with the scripting for the Mini Fridge. - DogtoothCG and unoctium, for there amazing creations which sparked my interest in the modding community. - Elianora and GioMetal for every wonderful house mod she has created, and allowing me to use some assets from her Elianora's Fallout Junk Yard, as well as her custom bobblehead stand from her mod: Craftable Display Shelves, you are amazing Eli! -MadGodSheogorath, for the amazing player home Remnant Bunker Player Home, which inspired me to also have an Enclave soldier to bury. -Andruxxich, for translating the mod to Russian.